Wouldn’t it be ironic if Occupy Wall Street — the soi-disant “99%” — were being secretly funded by billionaire Davos Man George Soros, exemplar of the 1%? Well, no, it wouldn’t, actually. As Noreen Malone points out, lots of the 1% have, like Soros, expressed sympathy with OWS, including Bill Clinton, Ben Bernanke, and at least one member of the Buffett family. And when you’re sympathetic to a cause, and have lots of money, often you donate money to that cause. But in this case it looks very much as though there’s no connection at all between Soros and OWS. That makes sense: for one thing, Soros is a creature of Wall Street himself, and for another, he tends to fund well-organized groups with specific goals. Which, clearly, OWS isn’t. Yes, there are people — led, it would seem, by Rush Limbaugh — who are loudly speculating that Soros is funding OWS. There might conceivably be a story in their rabble-rousing, which could point out that Soros’s agenda is hardly secret — it’s right there on his website for all to see. Alternatively, as John Carney points out, there’s an interesting story in the way that OWS has raised money, through crowdsourced means like Kickstarter. But the angle we went with is not a story, especially since Soros says he’s never even heard of Adbusters. The Tides Center is not some great sloshing pool of money which takes in money and hands it out. Yes, one of the many things that it offers foundations is the opportunity to create collective action funds, enabling a group of donors to channel their money in a collaborative manner. The fact that Soros gave money to Tides and that Tides gave money to Adbusters in no way means that there’s an “indirect financial link” between the two. That’s like saying that there’s an “indirect financial link” between me and Mitt Romney, because I lend money to Citigroup (I’m a depositor at Citibank), and Citigroup has given money to Romney. Besides, OWS wasn’t even dreamed of back in 2009. 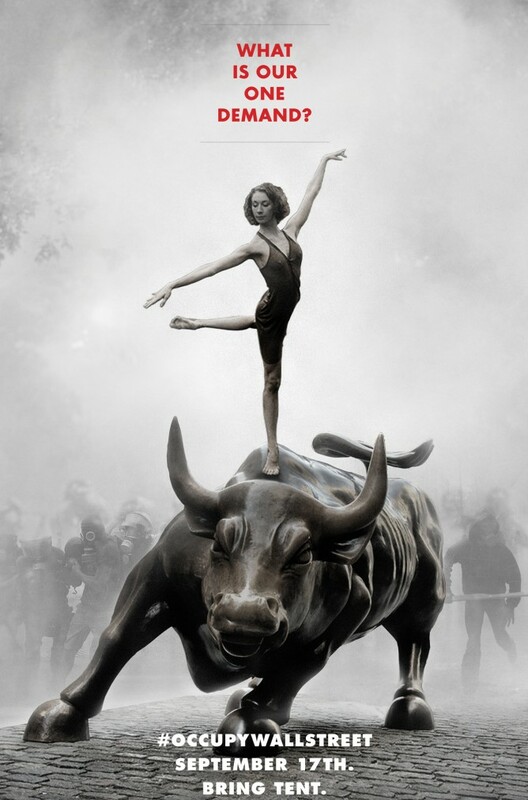 If somehow some Soros money did make it to Adbusters between 2007 and 2009 — despite Adbusters co-founder Kalle Lasn’s clear statement that “he’s never given us a penny” — then that’s still a good two years away from any connection to OWS. Reuters news stories like the one about OWS are held to a very high standard of integrity, independence, and freedom from bias. And there’s lots in this article which tilts hard to the right. Reuters cannot — must not — get a reputation as a right-wing media outlet. We have to report the news as impartially as we can. In this case, there was no story, and nothing to report. Inventing a tenuous and intellectually-dishonest link between Soros and OWS might get us traffic from Matt Drudge — but that’s traffic which, frankly, we don’t particularly value or care for. Much more importantly, it serves to undermine the heart of what Reuters stands for. And we can never afford to do that. Update: After a rather confusing series of events, the old version of the story is still online, while a recast version is here. Both of them now carry the headline “Soros: not a funder of Wall Street protests”. Which is an improvement.